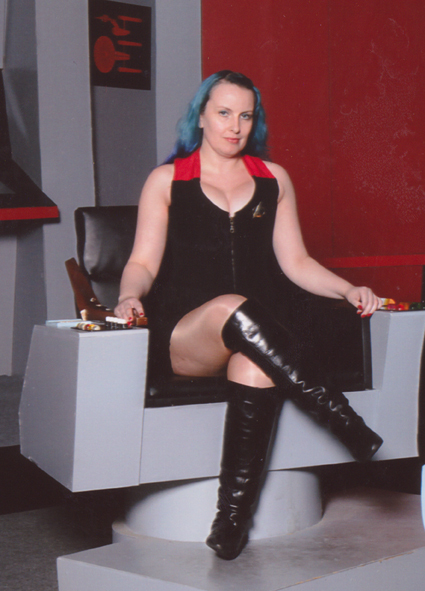 Star Trek Uniform Style Corset. Made with polyester outer with two linings. 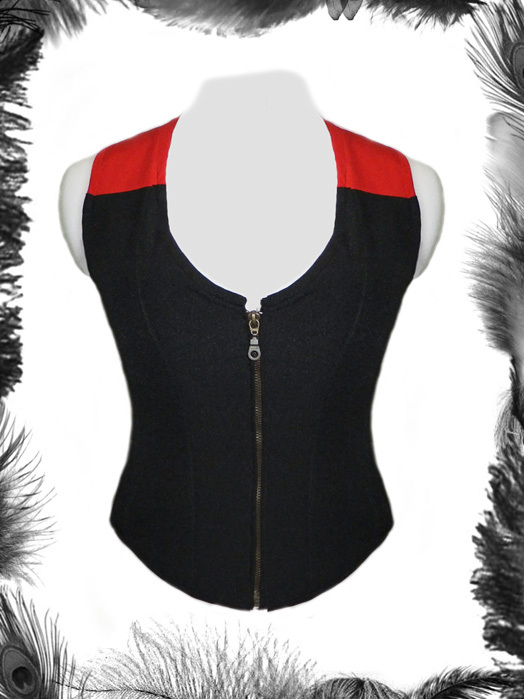 Insude lining in strong corset coutil. 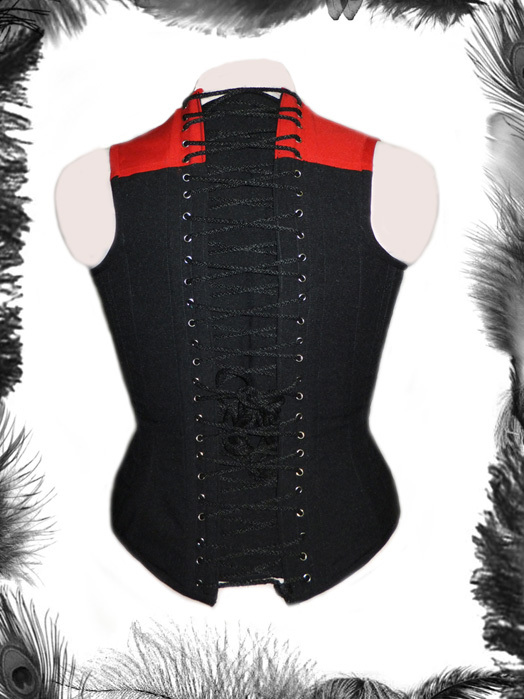 Full adjustable lacing at back with modesty panel.